Tickets for MVSU vs Alabama A & M University in Itta Bena from Impact Tickets, LLC. This is a matchup of the East in the SWAC. 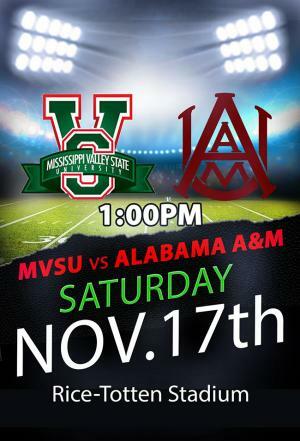 This should be a real competitive game given the fact that the Bulldogs of Alabama A&M have been a formable opponent for the Delta Devils. These two teams always leave it all on the field. Get your tickets early because this will be a sellout. NO PASSES OUT – NO REFUNDS! TICKETS CAN ONLY BE SCANNED ONCE!